Northumberland is a land of peace and solitude. The wide open spaces of the Northumberland National Park provide a landscape of seemingly endless beauty, from the astonishing engineering feat of Hadrian's wall, to the breathtaking Cheviot Hills. It offers something for everyone; walkers, nature lovers, photographers, artists and landscape enthusiasts. 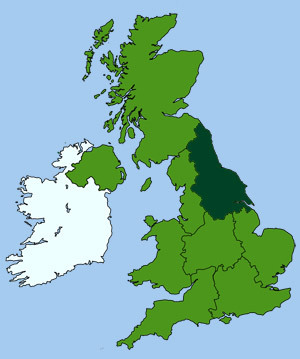 Northumberland is the most northerly English county. 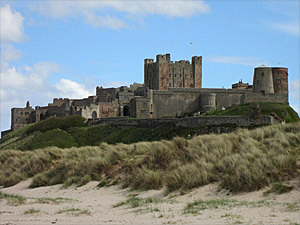 The eastern coast, is low lying and sandy, behind which lies a wide coastal plain. The north provides much rich grazing land, and further west a bare upland country leads to the Cheviot Hills. The Pennine moors and dales lie in the south-west of the county, which are richly wooded towards the Tyne valley, where the River Tyne meanders along the southern border of the county. Berwick Cockles - the name given to a local old-fashioned peppermint sweet. Stottie cake - a traditional savoury bread. Pease pudding - Pease pudding 'hot' pease pudding 'cold', one of the most famous northern dishes. First recorded in 895 as Norohymbraland. The name comes from the Anglo Saxon term meaning 'the place of those living north of the Humber'.